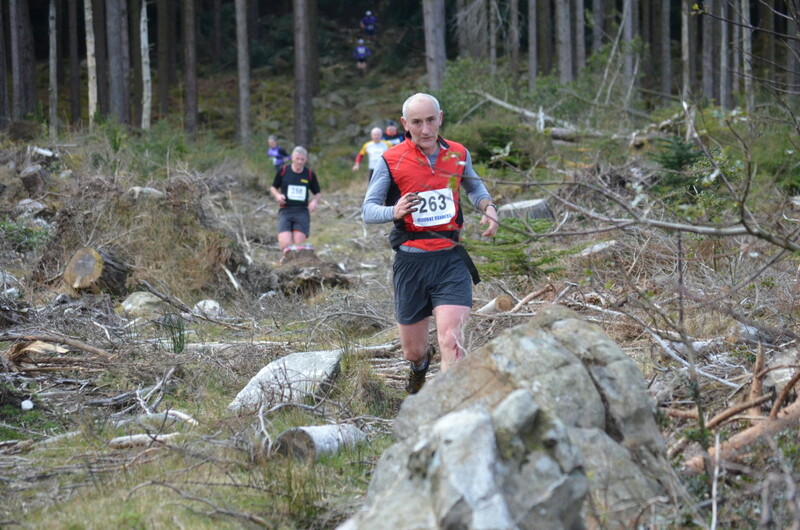 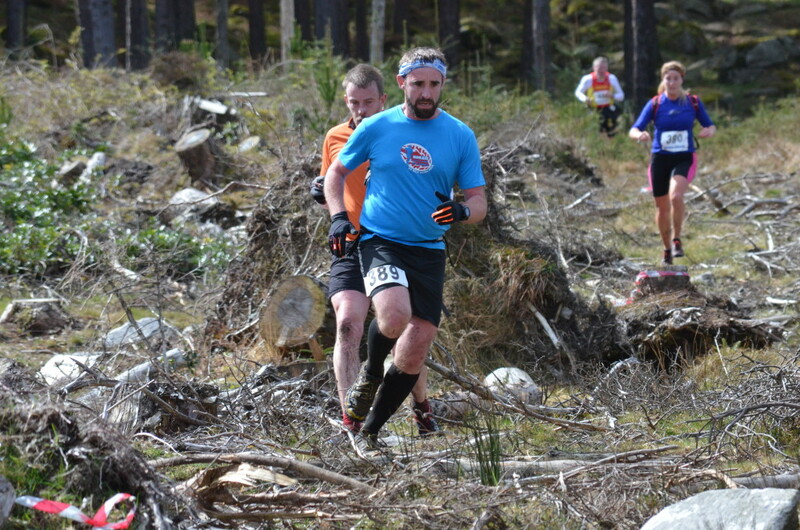 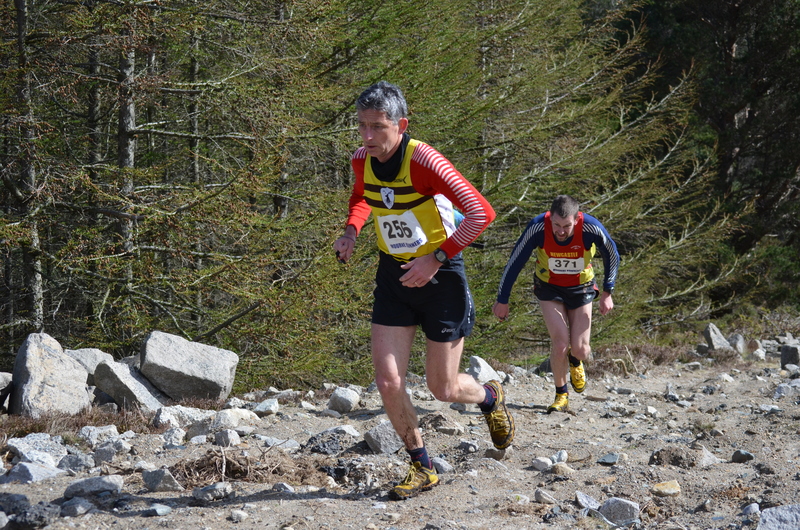 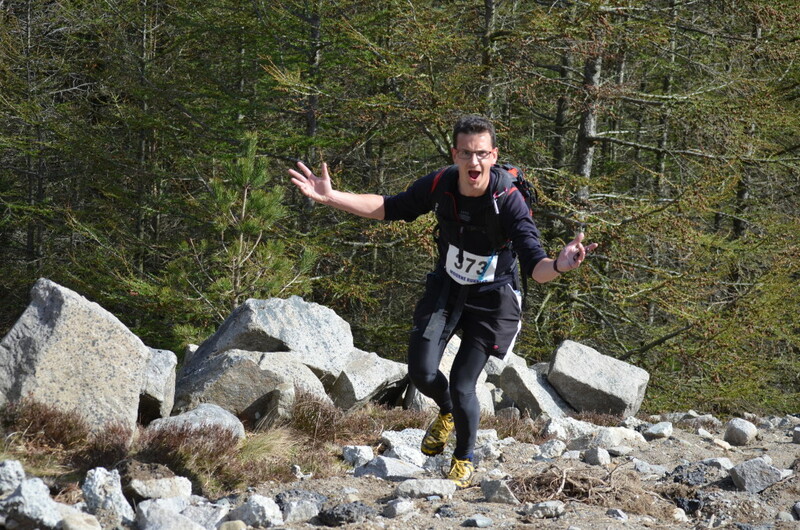 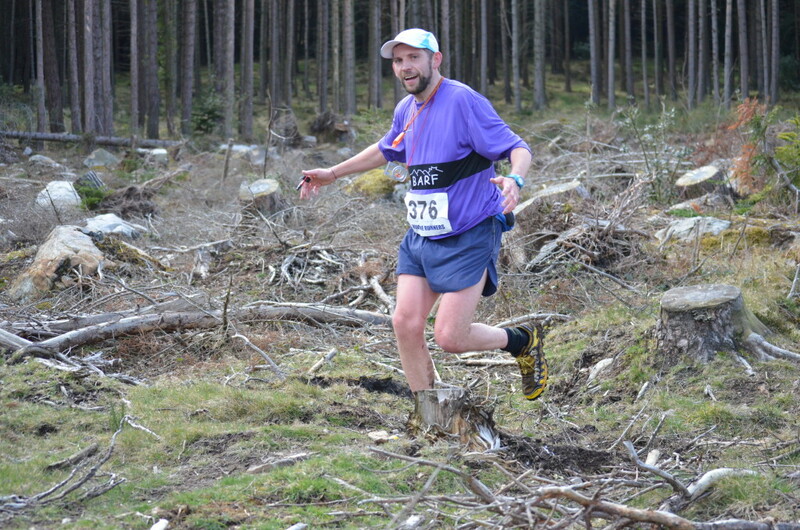 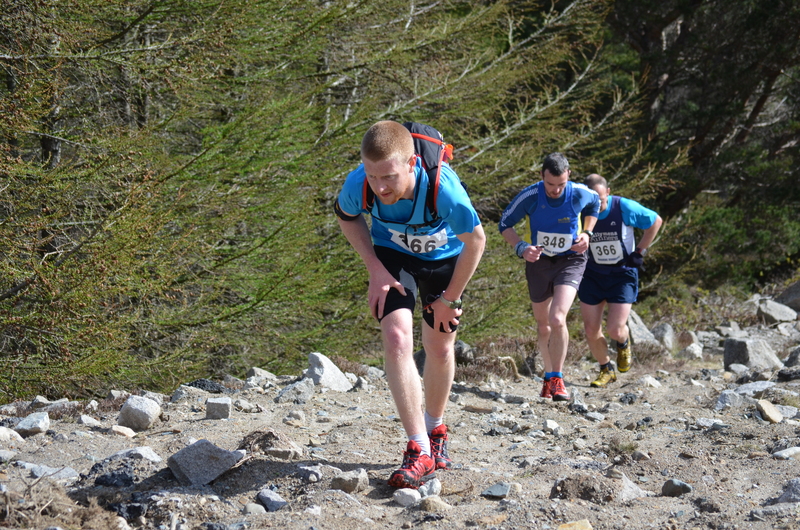 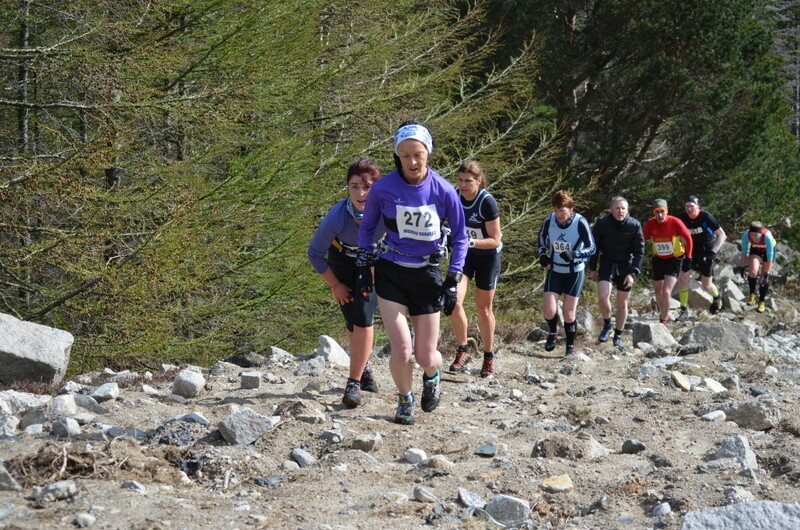 On Saturday 11th April 2015, seventy three mountain runners from across Northern Ireland turned out for the Donard-Commedagh Mountain Race in Newcastle, County Down. 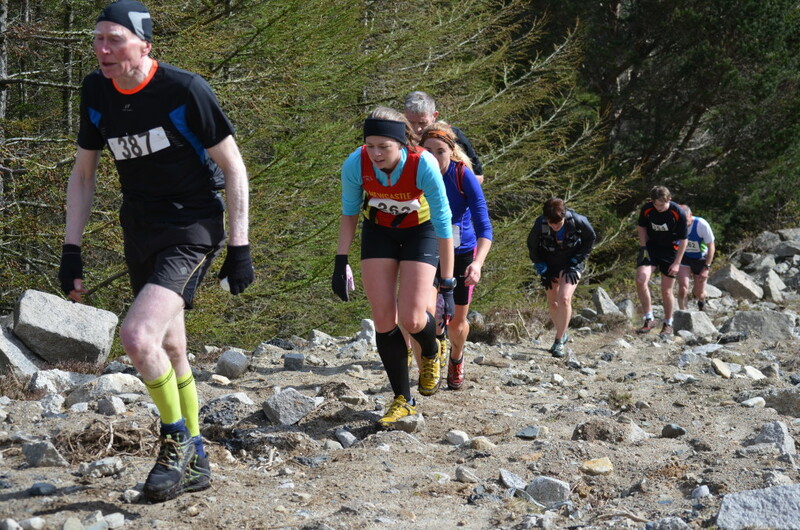 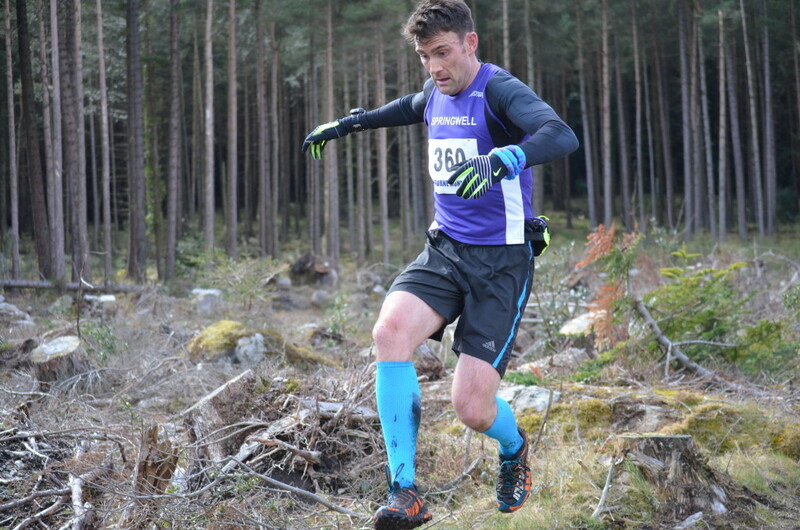 The event, which started and finished in Donard Park measured 10.9k in distance with 1,050m of ascent and was the second race in the ongoing Podium4Sport Northern Ireland Mountain Running Association (NIMRA) Championship Series. 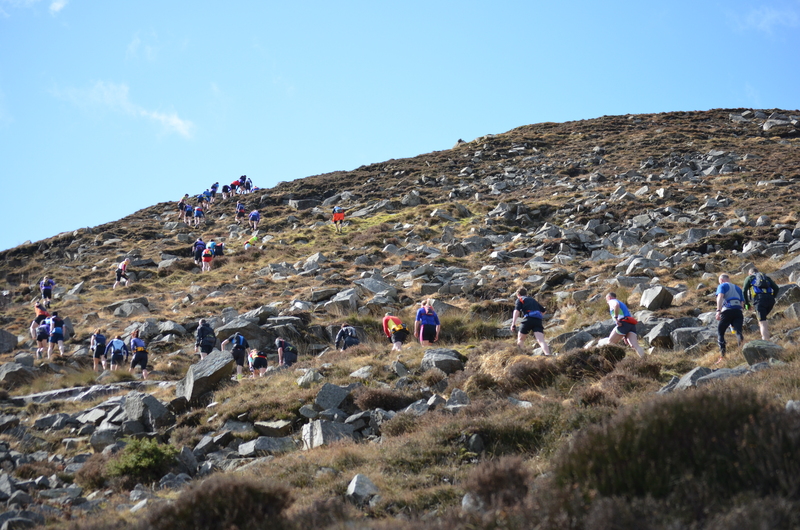 In bright and sunny conditions, the field set off from Donard Park and uphill towards the snow capped mountains, where they would head towards the summit of Northern Ireland’s tallest mountain, Slieve Donard, before descending to ‘the Col’ and onwards, back uphill towards Slieve Commedagh – from there, the field negotiated their final descent back to Donard Park. 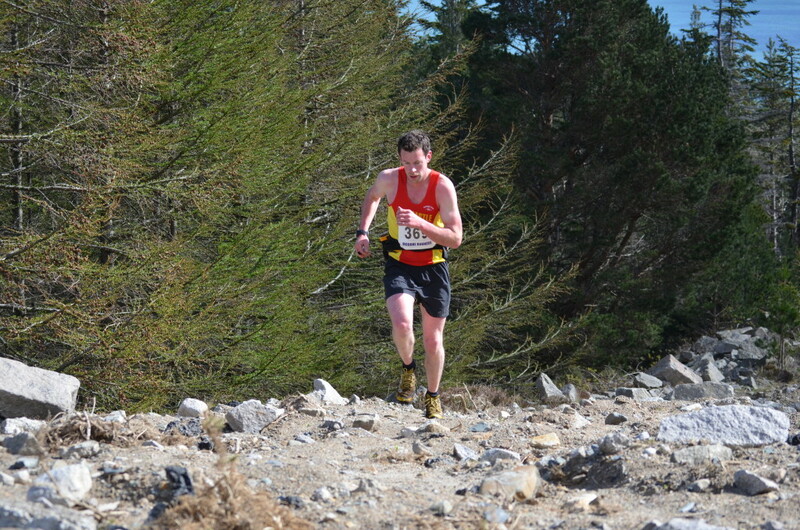 The in-form Seamus Lynch (Newcastle AC), winner of the first race in this years Series at Glenariff, reached the summit of Slieve Donard in 27:47. 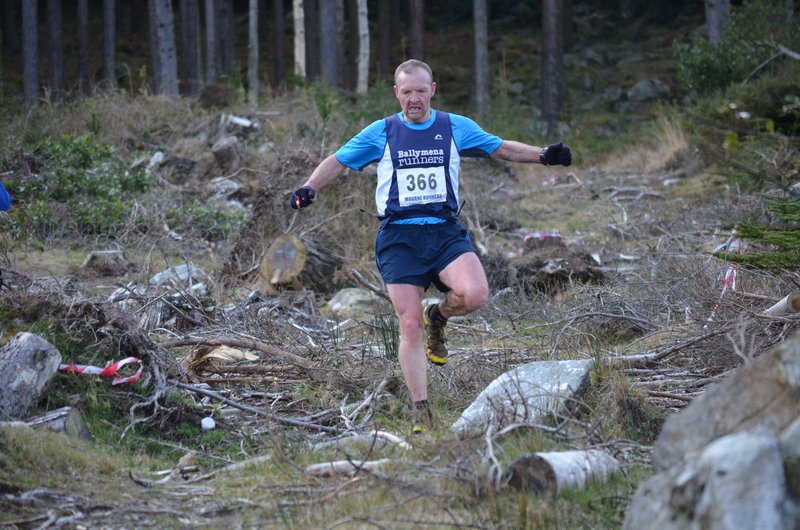 Sam Heron (Mourne Runners), David Steele (Newcastle AC), Deon McNeilly (Newcastle AC), Paul McAnespie (Armagh AC) and Neil Carty (North Belfast Harriers) were all amongst the chasers. 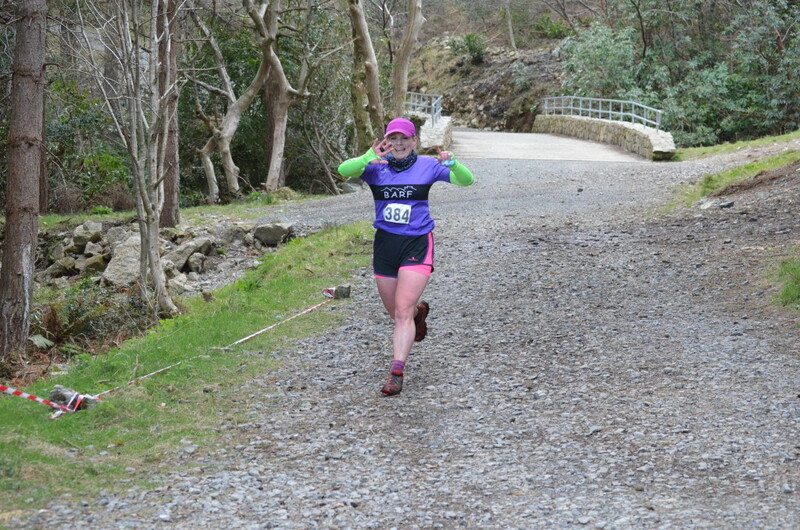 In the ladies race, Shileen O’Kane (Lagan Valley AC) led the way with Jacqui Toal (BARF), Hazel McLaughlin (Lagan Valley AC), Anne Sandford (Lagan Valley AC) and Mourne Runners’ Denise Mathers all in pursuit. 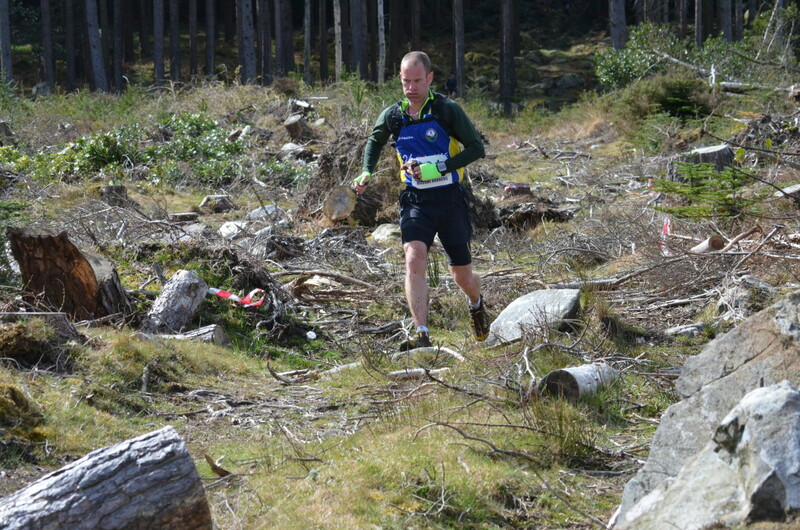 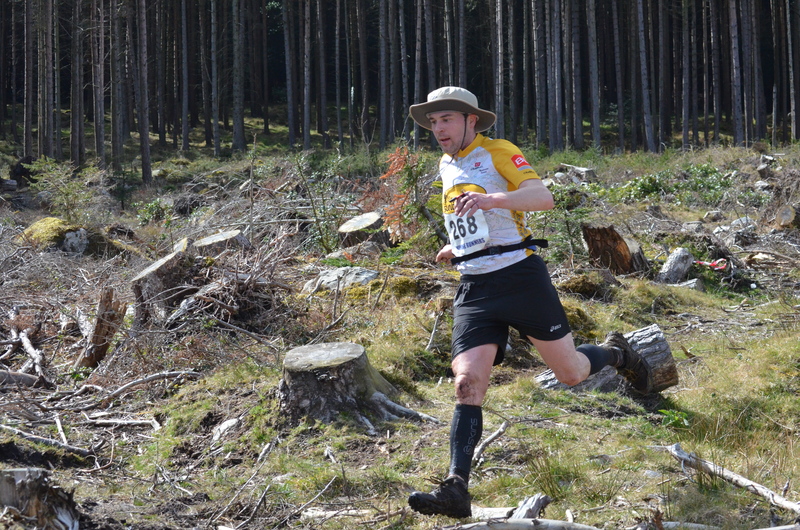 Seamus Lynch continued to dominate proceedings and climbed Slieve Commedagh impressively – his descent was just as notable and before long, the Newcastle AC athlete appeared through the tree line and into Donard Park. 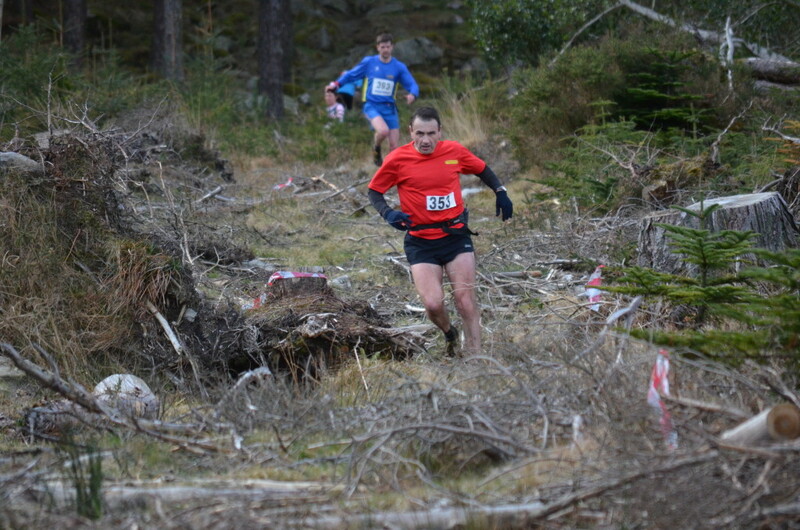 He covered the final downhill section with ease and broke the tape in 1:05:08 (1st place). 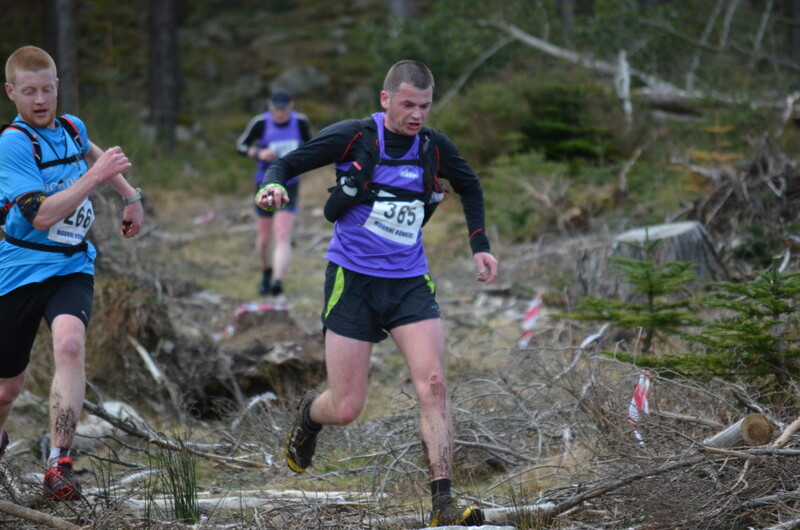 Sam Heron was rewarded for his excellent performance with a 2nd place finish in 1:07:50, before Deon McNeilly narrowly beat club mate David Steele (4th place – 1:10:26) to 3rd place in 1:10:29. 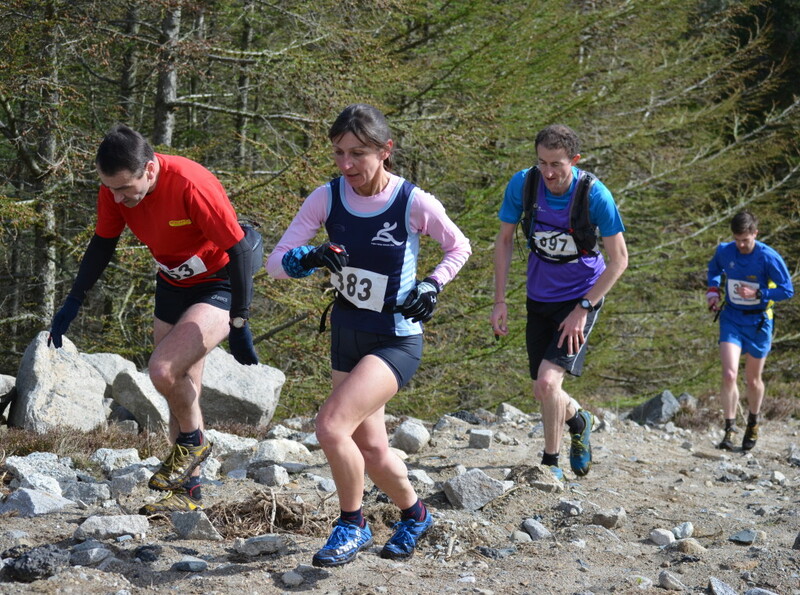 Shileen O’Kane notched her second successive NIMRA Championship Series victory, when she clocked 1:22:26 (1st place) for top spot. 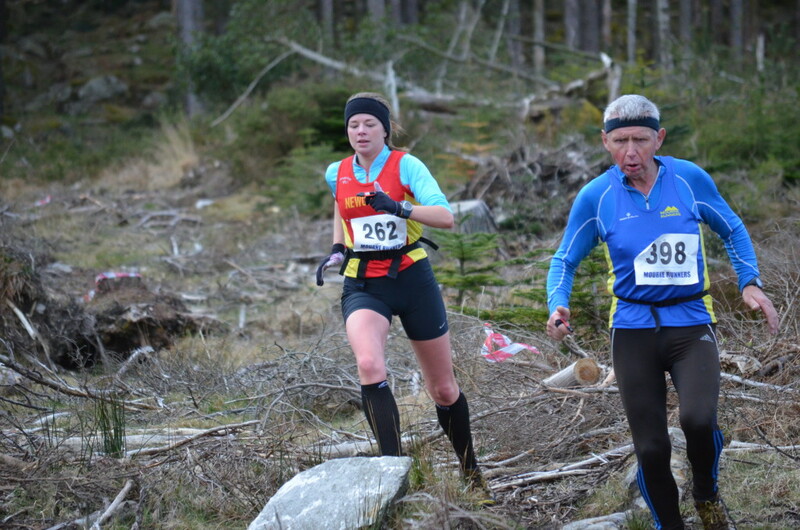 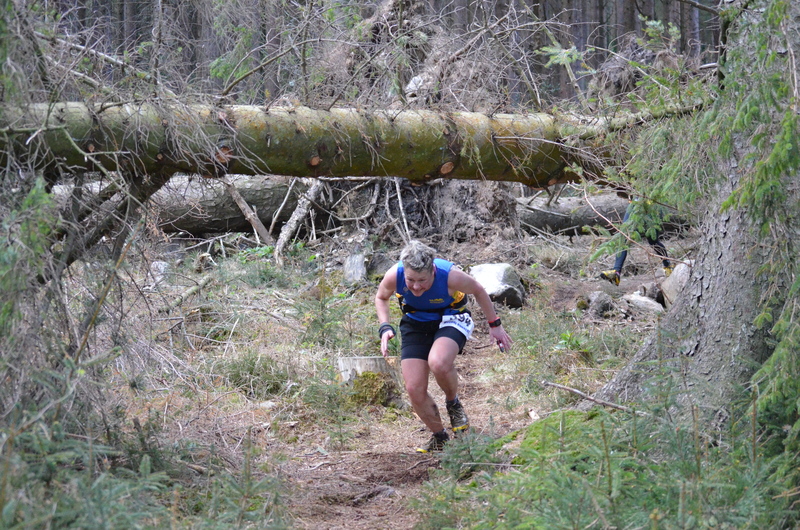 Jacqui Toal showed the same kind of form that saw her claim a podium place in Wicklow recently to take the runners up prize in 1:30:39 (2nd place). 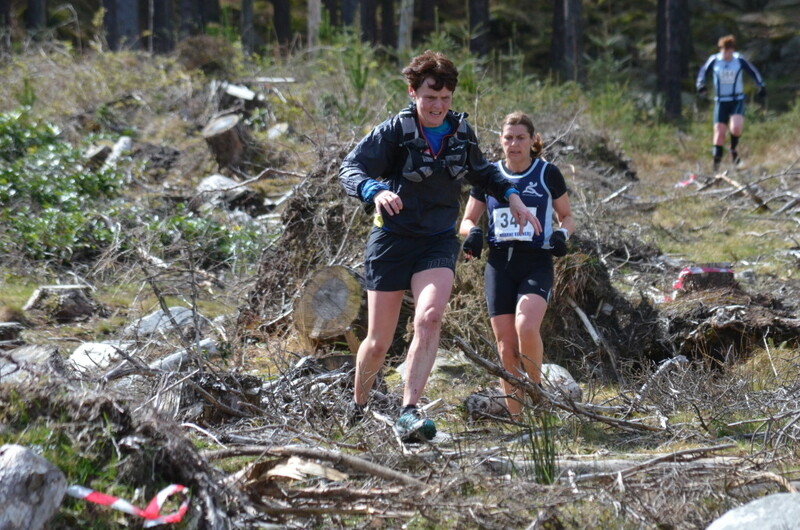 Behind, the closest finish of the day was just about to unfold – friends Hazel McLaughlin and Denise Mathers raced through Donard Park side by side, but in the final metres, Hazel just edged it to cross the line in 1:33:37 (3rd place), with Denise recording 1:33:38 (4th place). 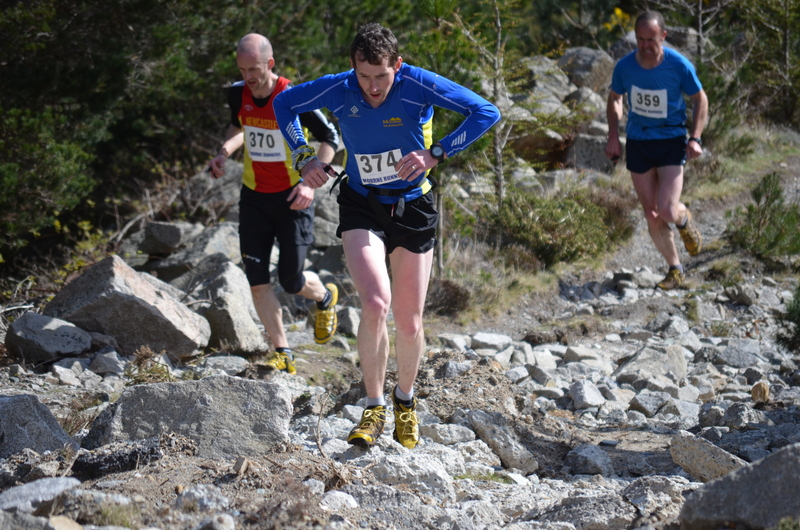 Over and above the overall prizes for podium and category places, there were also special prizes (sponsored by Hanna Brothers Kitchens) for the athletes who descended from the Commedagh to the finish at Donard Park in the quickest time. 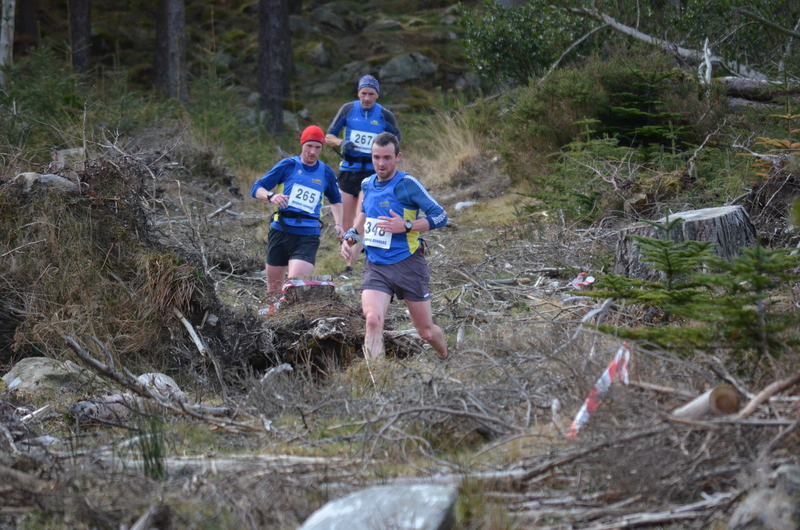 These prizes were secured by Seamus Lynch (Newcastle AC) and Shileen O’Kane (Lagan Valley AC). 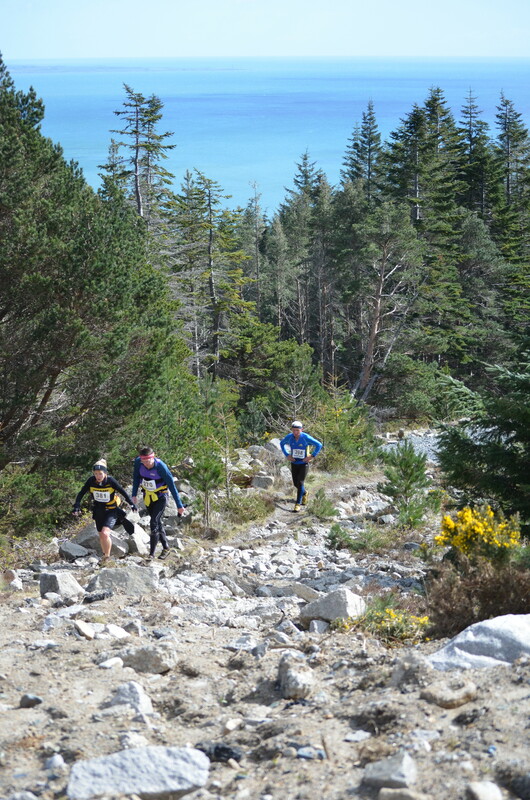 A full set of photos will be posted soon.